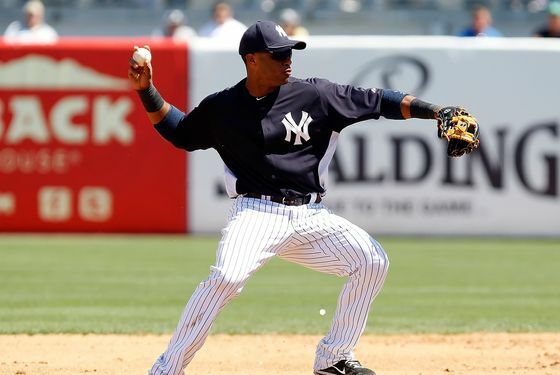 Yankees Season Preview: Is Robinson Cano the Next Great Yankee? Our preview of the 2012 Yankees season continues with a look at the team's most dangerous hitter. Robinson Cano isn't the face of the Yankees. That would be Derek Jeter, and it'll continue to be Derek Jeter until the day he retires, regardless of whether he hits .334 or .270 or .297 this season. But Cano, 29, has emerged as the scariest hitter in the Yankees lineup. While the likes of Jeter and Alex Rodriguez age further and further past their primes, Cano is smack in the middle of his: He's finished in the top six in the MVP voting in each of the last two seasons, and this year, he'll move up in the order to bat third on a regular basis. The Yankees, more so than any other franchise, love the idea that a sort of torch has been passed from Ruth to Gehrig to DiMaggio to Mantle and so on, all the way up to Jeter, the face of the modern Yankees, if not necessarily the only future Hall of Famer on the current roster. Cano doesn't belong in that group, at least not yet. But that's the Yankees' dream scenario: That Cano will continue to be one the league's elite hitters for years to come, a perennial All-Star whose glove will continue to develop along with his pitch selection. Maybe he will win that batting title, or that MVP award (though as Jeter has shown, one can have a Hall of Fame career without either of those). Some Yankees might be starting to fade away, but we're still learning exactly what Cano is capable of. Of course, how long we get to watch him in pinstripes will depend on the Yankees' ability to lock him up with a long-term contract. But that's a question for another off-season.